HVAC Issues At Work? Here�s How to Fix Them! According to the Canadian Centre for Occupational Health and Safety (CCOSH), the optimal temperature range for the workplace today is from 23°C (73.4°F) to 26°C (78.8°F). This is all a part of a greater protocol the OSH calls “thermal comfort,” which relates to the relative humidity, air velocity, metabolic rate, workplace attire, radiant temperatures, and more. Suffice it to say that workplace comfort guides are not always created with ease of implementation in mind! Not to mention that some employees may naturally find warmer or cooler indoor temperatures more to their taste. As an employer, what can you do to ensure that your indoor temperature control policy comes closest to meeting the comfort needs of each worker? That is what we are going to talk about in this article! Right now, we are in what meteorologists like to call a “transitional weather pattern.” In other words, we are moving from winter to spring. In the meantime, we have some days when the weather is warmer and even muggy and other days when the weather is cool enough for a jacket. This is actually the toughest time of the year to keep your indoor workplace temperatures regulated and comfortable for your employees! However, it is important to know that making the extra effort to improve workplace comfort can really pay off in terms of improved worker productivity! One valuable workplace study showed that improving worker comfort can save you up to $2 per hour per worker! So, if you have 10 shivering workers, adjusting your indoor ambient air temperature can save you $20 per hour, or $160 per day. 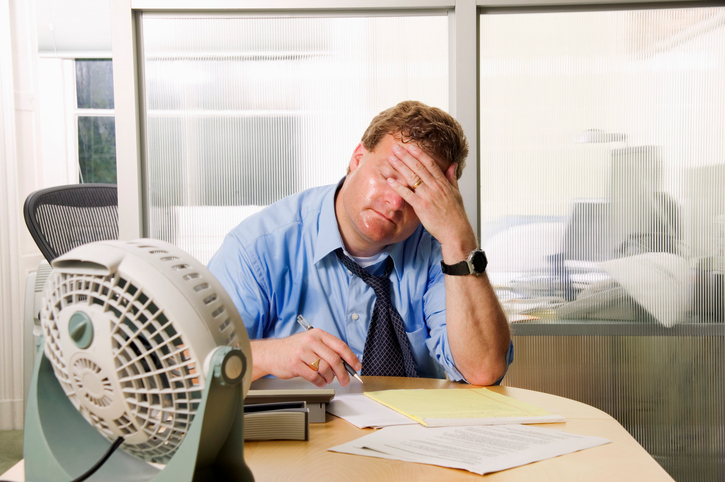 No matter how new and energy efficient your workplace heating and cooling system may be, this still doesn’t account for certain personal factors that can influence how hot or cool any given worker may feel while inside your office space. While it may not feel particularly politically correct to say this, the simple biological truth is that everything from clothing choice to overall health, weight, and diet choices, from gender to stage of life and even individual genetic factors, can all influence how hot or cold any given individual may feel inside your work space. To that point, did you know that human body temperature can vary greatly, with a range from 36.1°C (97°F) to 37.2°C (99°F)? Also, body temperature can vary based on time of day as well as the amount of physical exertion a task requires. What this means is that two employees seated side-by-side in the same office space can experience the ambient air temperature quite differently. One may be very comfortable while the other may be shivering or sweating. Or they both may be uncomfortable for completely different reasons. You certainly can’t keep adjusting your air conditioning up and down every five minutes to account for these individual differences. But what you can do is give your workers some level of personal control over raising or lowering the temperature in each individual workspace. Be flexible with your dress code. Safety regulations permitting, offering workers the option of wearing more or fewer layers of clothing can help with regulating body temperature throughout the workday. Permit personal fans or space heaters. Again, safety regulations permitting, giving workers the chance to use personal heating and cooling devices like fans and personal heaters can improve morale and productivity throughout the workday. Install zoned programmable thermostats. Where workspaces allow for zoned temperature changes, give work groups control over their own thermostat and the option to raise or lower it as the workgroup decides. Sometimes all of the internal workplace flexibility in the world cannot compensate for old, leaking, sagging, or simply misrouted ductwork. If you have never heard of the legendary “ductopus,” this is the industry name HVAC professionals give to certain old-style duct systems. These are usually systems that have expanded over time, with the result that individual ducts double back and overlap with one another, giving the appearance of nothing so much as an octopus tangled up in its own arms! Here, the best approach is to start from square one, untangling the “arms” and re-routing the ductwork, sealing up cracks, fixing leaks, adding insulation, and just generally re-creating a safe and efficient air routing system from the ground up. Taking the time to re-evaluate and, if necessary, re-route your existing ductwork can fix all kinds of chronic indoor air circulation and ventilation issues—and offset the extra cost of, or even negate the need for, individual heaters and fans for employees. This is also the best time to schedule a professional indoor air duct cleaning, something our sister company, Clean Air Solutions Hamilton, provides to clients all across Ontario province. An indoor air duct cleaning can be accomplished in less than one day and we are happy to schedule a commercial cleaning on a weekend day so as not to disrupt regular business operations. The indoor air duct cleaning removes accumulated dust, debris, and toxins trapped inside your air duct system, which can in turn reduce workday allergies, migraine headaches, respiratory ailments, cold and flu season absences, and asthma attacks at work. When done in combination with a ductwork rerouting, re-sealing, and insulation, you can leave one evening and return the next morning to what feels like a whole new workplace! Here at Shipton’s Heating & Cooling, our highly skilled technicians are fully licensed and trained to install, repair, inspect, and maintain all types of HVAC systems. 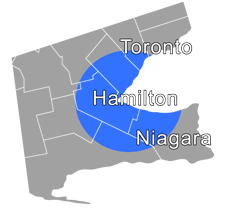 Give us a call at 905-544-2470 to schedule your service call. Right now, save 10 percent on all indoor air duct cleaning packages. Plus, complete this simple online form to save up to $1,000 on a new air conditioner, furnace, or boiler!